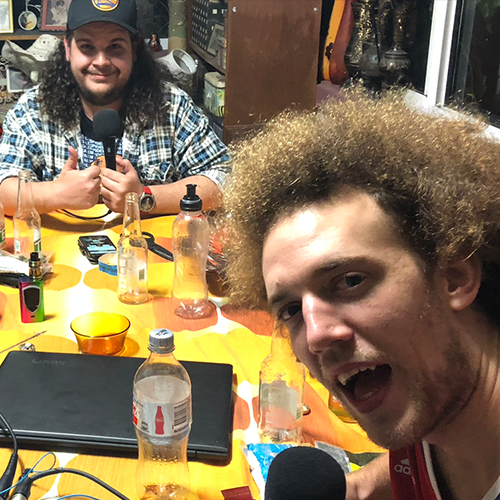 Patrick is joined in Sydney by comedians Justin Jones, Gavin Scott, and Kyle Legacy. Everyone is still interested in hooking up with Kyle’s cousin Amber, even if we just say it to drive him a little nuts. We suspect Kyle has difficulty with words on paper and make him read a passage from Peter Pan, which makes him uncomfortable as hell. Justin lets us all know his feelings about the lyrics of TLC’s song Waterfalls, we speculate on what could ultimately be the downfall of Kyle’s role model, and so many more ramblings manifested under the influence of substances.